This visual identity project is for a new midwifery clinic in Vancouver’s Strathcona neighbourhood. We decided their visual identity needed 3 interchangeable logos. Care is about healthy pregnancies, births, and post-partum care. Community is parenting being positive change for women, families, and communities. Change speaks to how the clinic connects health issues here in Vancouver to health issues everywhere. Congrats to the opening of the new clinic this spring. 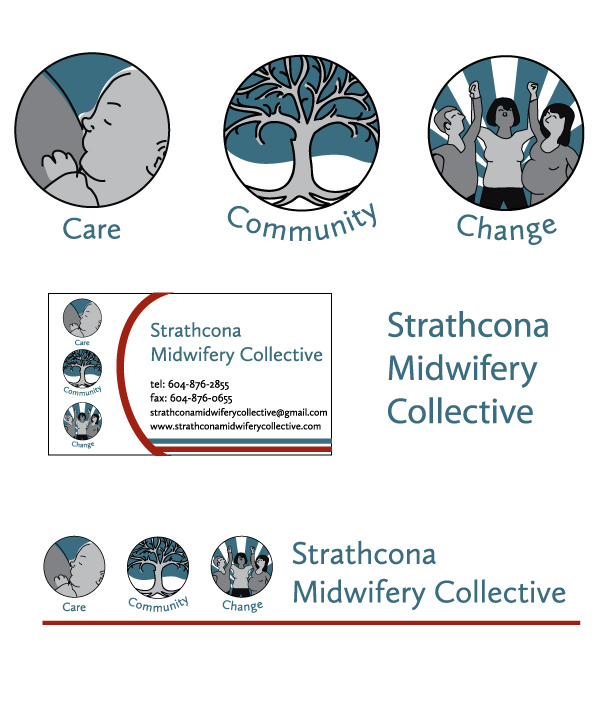 Visit them online at www.strathconamidwiferycollective.com.